As a photographer in Paris, I am blessed to meet very different families from all over the world and share with them the unique experience of spending authentic and relaxing moments in Paris. The word "Family" is one of the most important word in our collective conscience. Family is strongly linked to pleasant and reassuring feelings, such as Love, Confort and Freedom. And this is simply because Family is like Home, like is a cocoon where you can truly be yourself and where you can be sure that people will never fail you, no matter how different you are from one another. Traveling together is always a good idea as it naturally connect your family and build deep relationships. 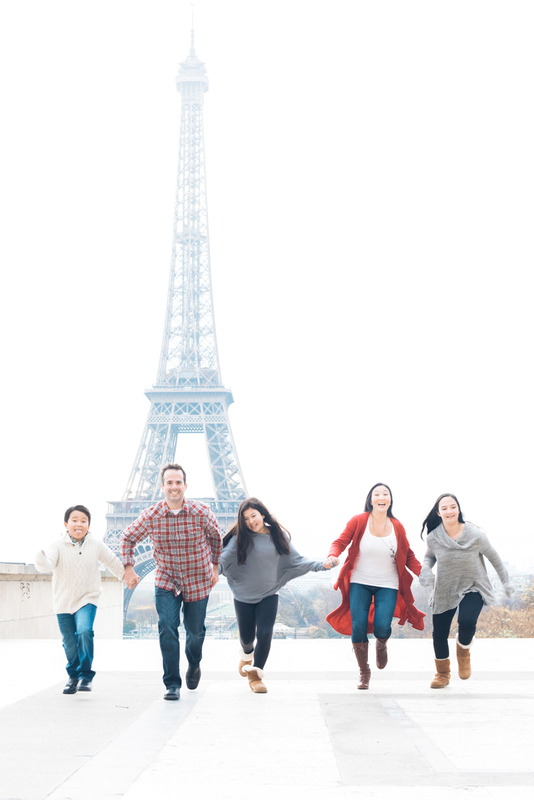 As a Paris photographer, Tim is lucky enough to meet families from all over the world sharing the unique experience of discovering the magic of Paris together and writing a new chapter to their common story. If you are planning your stay in Paris with your family and wish to have this very special moment of your life immortalized through authentic and elegant photography, don't wait any longer and get in touch with Tim.